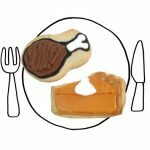 Looking for alternatives to traditional pumpkin pie this Thanksgiving? Or maybe you just want to flex your pumpkin pie muscles before the holiday. 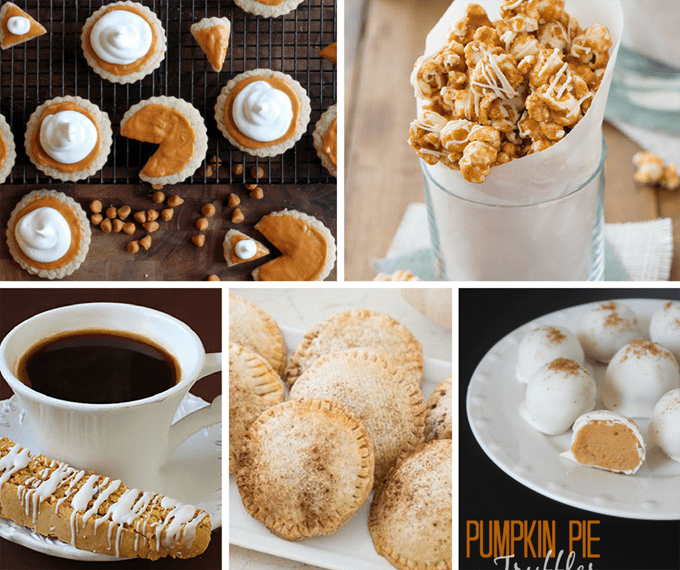 Here are 20 alternative pumpkin pie recipes that aren’t pie. Since Thanksgiving is approaching, many of us have pumpkin pie on the mind. 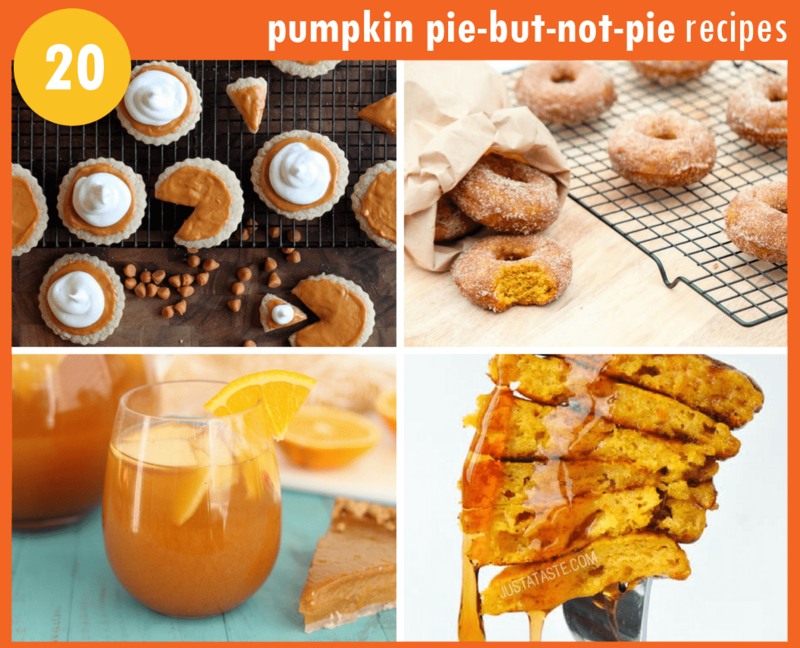 If you’re bored with the same old 9-inch round, here are some unusual ways to eat pumpkin pie, or “alternative pumpkin pie” recipes. 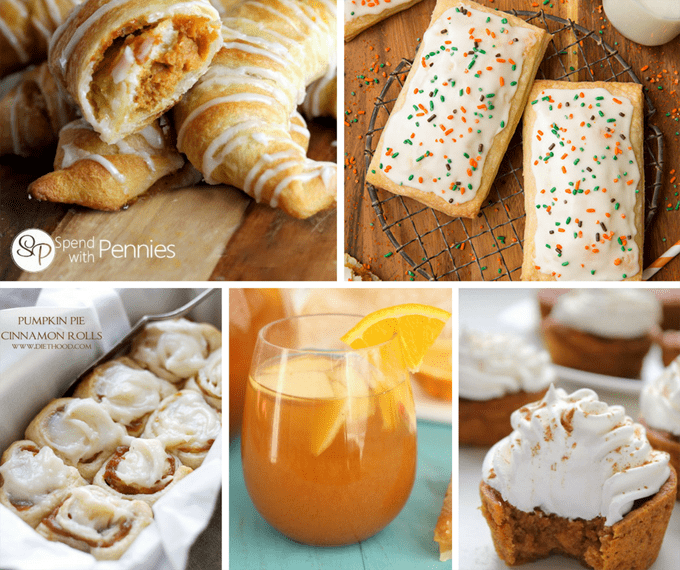 Make pumpkin pie crescents at Spend with Pennies. Make pumpkin pie pop tarts at Cooking Classy. Make pumpkin pie cinnamon rolls at Diethood. Make pumpkin pie sangria at That’s So Michelle. Make pumpkin pie cupcakes at Cincy Shopper. Make pumpkin cheesecake bars at Roxana’s Home Baking. 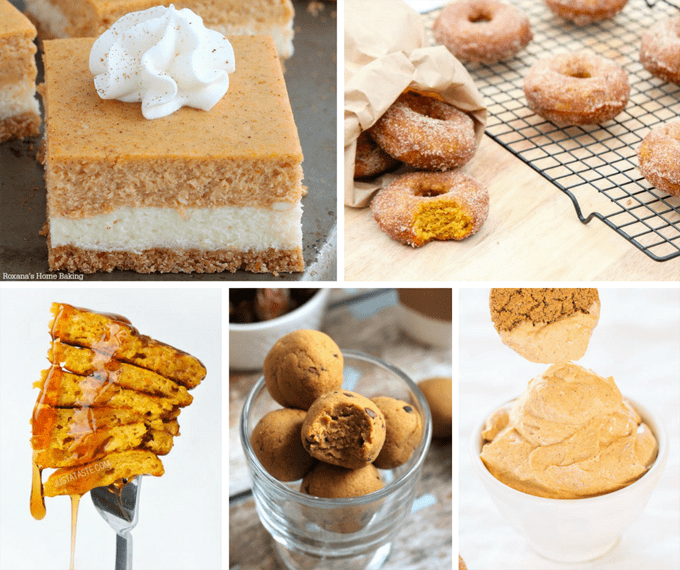 Make pumpkin pie donuts at Daily Dish Recipes. Make pumpkin pie pancakes at Just a Taste. 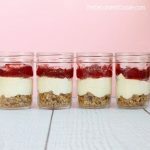 Make pumpkin pie protein no-bake bites at Hummusapien. Make pumpkin pie dip at Averie Cooks. 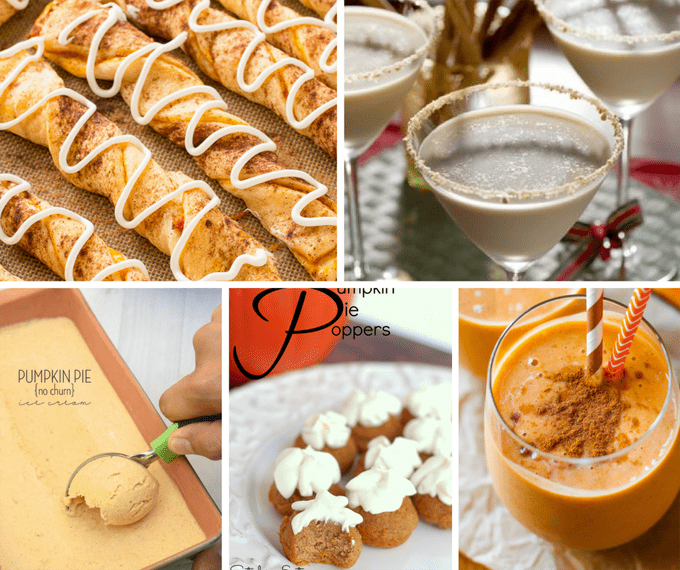 Make pumpkin pie twists at Deliciously Sprinkled. Make a pumpkin pie martini at Food Network. Make pumpkin pie ice cream at Color Me Meg. Make pumpkin pie poppers at Satisfying Eats. Make a pumpkin pie smoothie at Sally’s Baking Addiction. 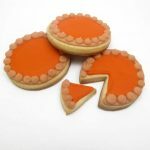 Make pumpkin pie cookies at Cozy Walls. Make pumpkin pie popcorn at Cooking Classy. Make pumpkin pie biscotti at Gimme Some Oven. Make pumpkin hand pies at Tablespoon. Make pumpkin pie truffles at Classy Clutter.